Many of the visions that shape the Internet’s development and use are driven by research institutions, corporations, and governments, enabling consensus about research and policy problems. 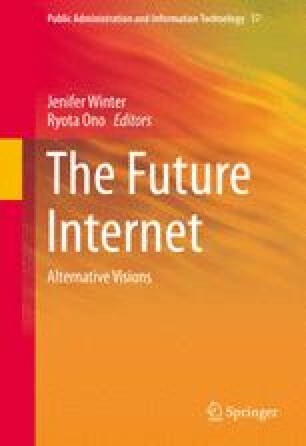 While there is not a single vision of the future Internet, there are a number of overlapping, and influential, visions shared between academic and corporate researchers and governments. These all point towards the embedding of computational intelligence into many aspects of everyday life and the growth of technical standards enabling machine-to-machine (M2M) intelligence. The first part of this chapter introduces the dominant techno-utopian vision of the future Internet. Then, the field of futures studies is introduced as a means to perform systematic thinking about alternative futures. Finally, we introduce the individual chapters in this volume.